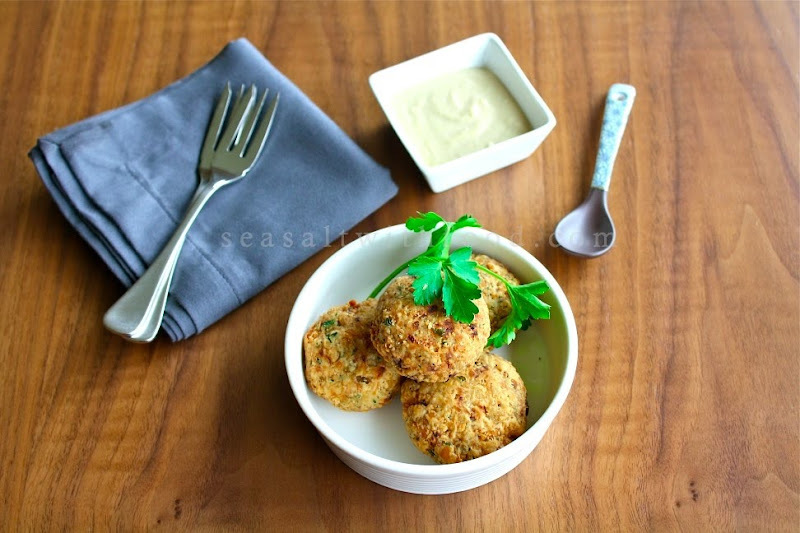 This is Fried Chickpea Patties with Sesame Seed Sauce or Revithokeftedes me Tahini Saltsa in Greek. According to my son, having the patties with the sauce reminds him of Hummus! To a large extent, his assessment is correct, as all the ingredients used are identical. It is sort of like eating a deconstructed Hummus. 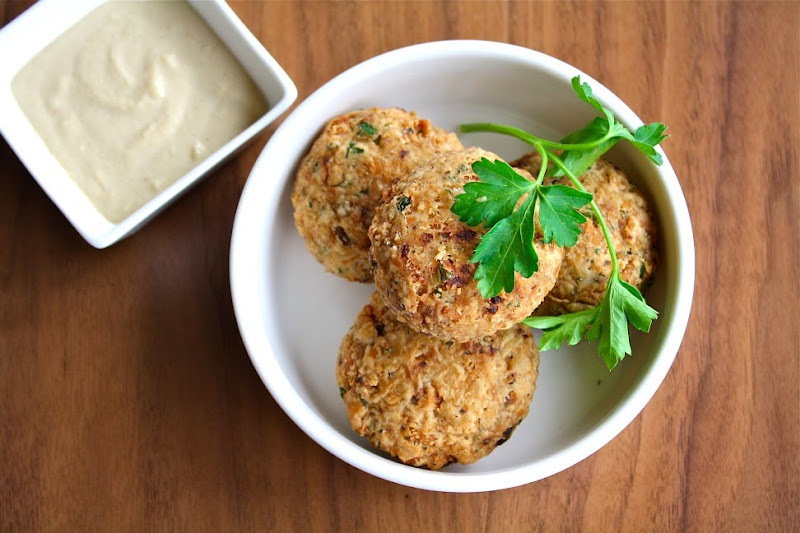 The patties do taste really good with the sesame seed sauce. Try it! Combine garlic and tahini in a work bowl. Pulse briefly. Add remaining ingredients and blend quickly. Drain and rinse the chickpeas with cold water. Mash with a fork or in a blender or food processor. Sauté onion in butter until soft and golden; remove from the heat. Add chickpeas, beaten egg, parsley, salt, pepper, oregano, and grated cheese. Add 1 to 2 Tbsp water, if necessary, to form a soft mixture. Shape into 2-inch patties. Roll in flour and fry in oil until golden. Serve with Sesame Seed Sauce. Hey, Gong Hey Fatt Choy! Happy Lunar New Year!! Hope you're having a blast with your family in KL!! Have a pleasant Valentine's, too! These look great! I tried making a dish very similar to this before, but they feel apart when I tried to cook them. I should definitely try this recipe next time! Very, very, very good! I was extremely pleased with these little golden bundles of joy! Thanks! Made these last night and must say they were the hit of the dinner. However I opted to not make the sauce, instead using the extra juice from the bacon wrapped chicken and it worked very well. Actually these little patties worked quite well with no sauce at all. 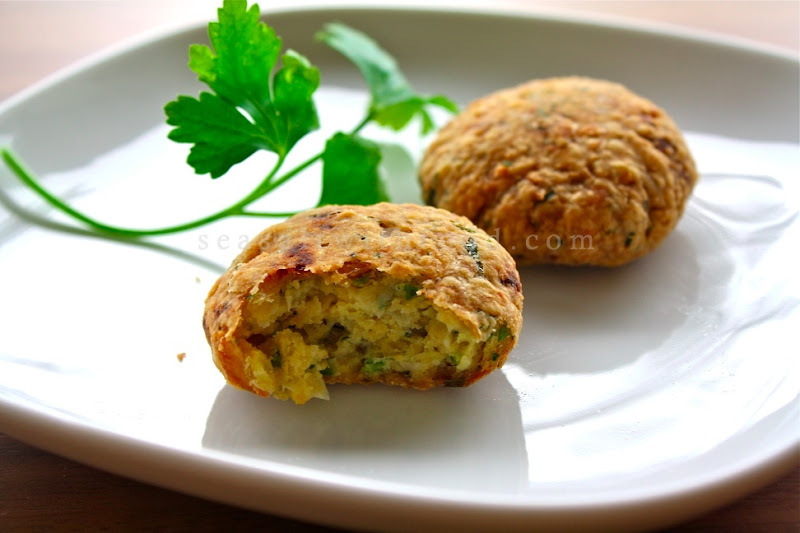 We've made these a few times now, and have played with the recipe a bit but am still having problems with the patties not getting solid enough. I drain the peas real well, and I've used just egg yolk instead of the whole egg, but yet it still is very loose in the pan. Taste is great, just can't seem to get the patties to stay together fully. @Mike: Perhaps you can use extra chickpeas or gently roll the patties with the flour. Then put some flour onto your palm and gently toss the patties between your palms before frying them. That's how I usually do when the patties is too soft or wet. Hope this method works for you.